One of Cape Town’s not to miss experiences is the glorious sunsets. 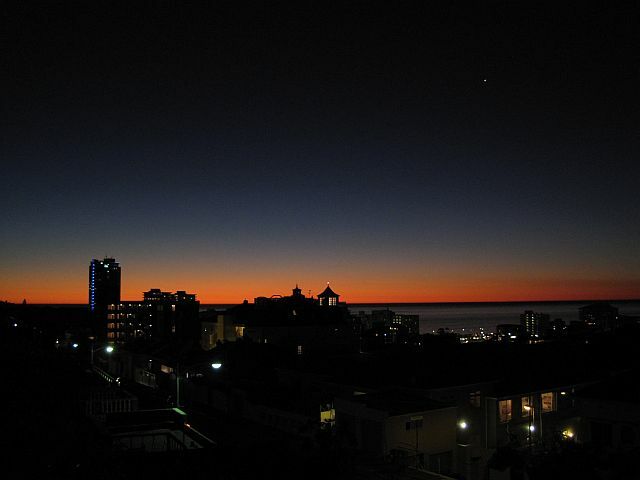 A stroll along Sea Point Promenade is a perfect way to observe the fiery skyline. Or you could find a place anywhere along the coastal road to stop and sip a cocktail with the setting sun as an accompaniment. Just be aware that the new drink driving laws are being enforced with a vengeance.